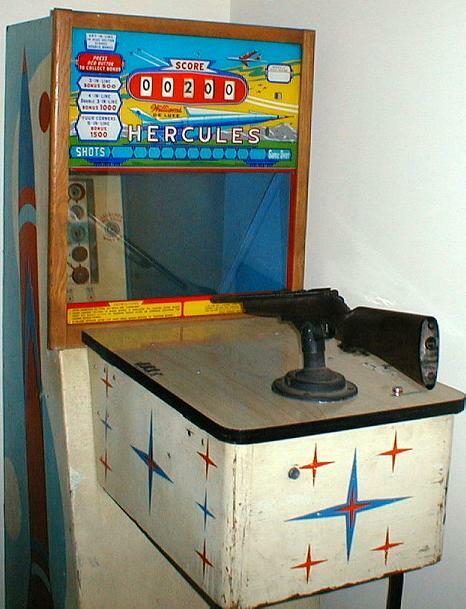 Arctic Gun, Williams, 1967, black light, adjustable time feature, NO electronic sound, 24.5" wide 35.5" deep. Aqua Gun, Williams, 2/68, game #353, electronic sound, black light, 26" wide 35.5" deep. Spooks, Williams, 2/69, game #365, electronic sound, black light, 26" wide 35.5" deep. 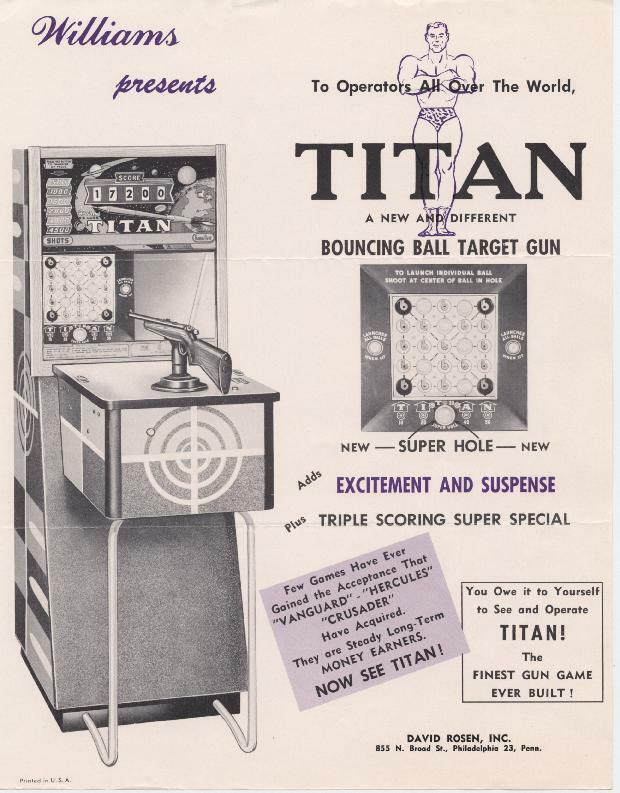 Phantom Gun, Williams, 8/69, game #375, electronic sound, 26" wide 35.5" deep. Bonanza, Williams, 6/70, game #384, electronic sound, 26" wide 35.5" deep. Flotilla, Williams, 12/70, game #398, a bomber style gun game, 31" wide 49" deep. Sniper, Williams, 3/71, game #399, electronic sound, 26" wide 35.5" deep. Jungle Drums, Williams, 11/71, game #405, electronic sound, 26" wide 35.5" deep. 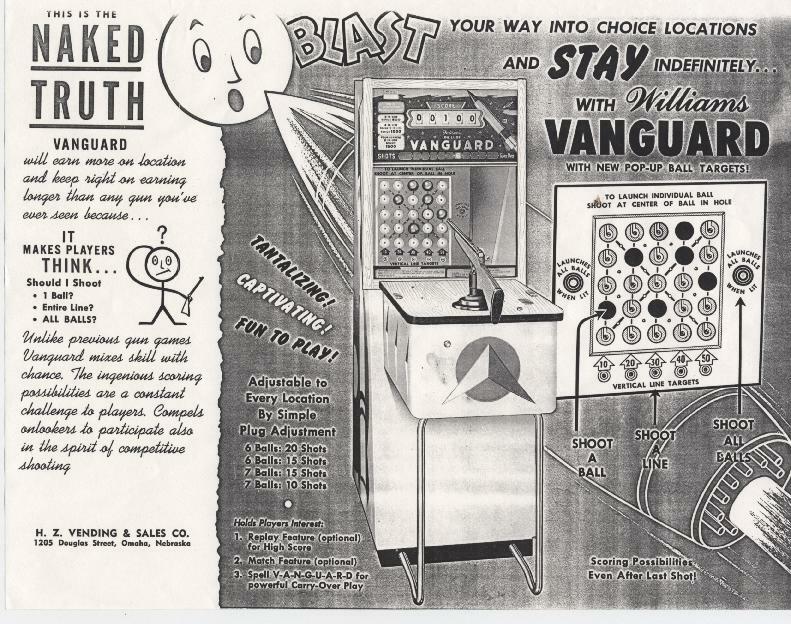 Stockade, Williams, 7/72, game #395, electronic sound, 29" wide 37.5" deep. Ambush, Williams, 1/73, game #396, solidstate sound, blacklight, 29" wide 37.5" deep.